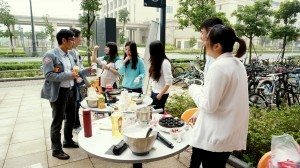 On Saturday 19th March, 2016, the University of Macau held “UM VIP Day” for the general public to visit the campus and facilities, including residential colleges, as part of the celebration of its 35th anniversary. 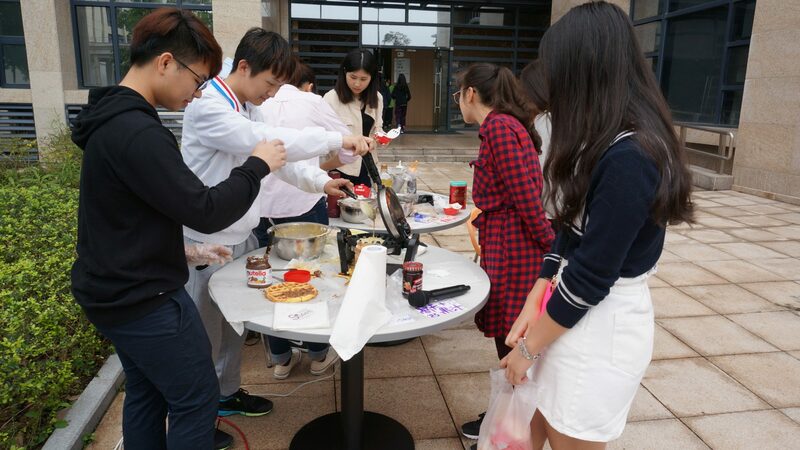 In addition to guiding visitors to tour around the common facilities of the College, the House Association (HA) of Stanley Ho East Asia College (SHEAC) organized a charity bazaar to raise fund for families and children in remote parts of Sichuan and Yunnan that two groups of SHEAC students are going to visit respectively this summer. College Master Prof. Iu Vai Pan visited the charity bazaar to show support to the students. 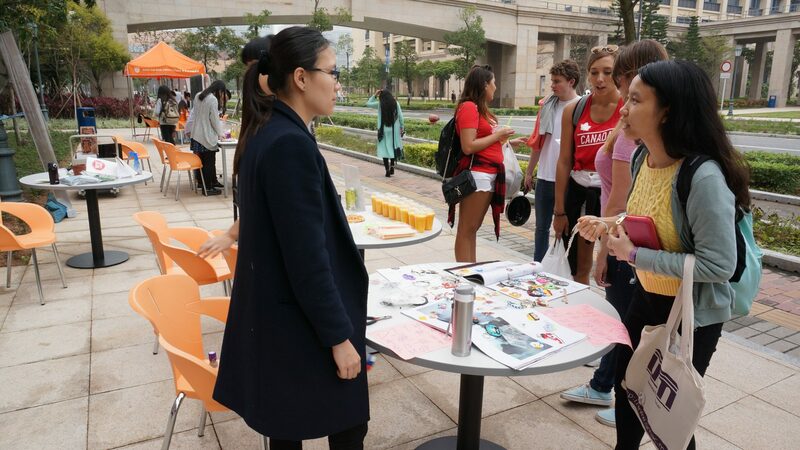 Over the past month, students had been busy with the preparation and organization: from drafting proposals and workflows, recruiting volunteers, designing booths, training to prepare made-to-order snacks, to purchasing materials, and promoting activity. Girls are attracted by the handicrafts. On the day, visitors were spoiled with choice: home-baked cookies, fresh orange juice, freshly made takoyaki (octopus balls) and waffles, a variety of handmade accessories, and organic planting demonstration with vegetable seeds and soil pots on sale. In addition, a local fair trade and healthy concept store was invited to participate in the bazaar. 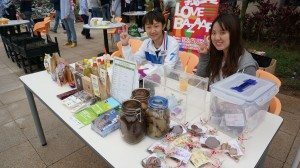 The shop offered various types of fair trade food and beverage. A certain percentage of the total revenue was contributed as donation for the fund-raising campaign. Students even spoke through a microphone to attract visitors about the ongoing bazaar. Student making crispy waffles skilfully. 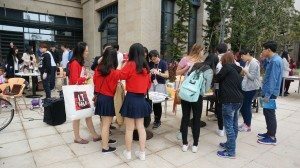 Taking it at heart to help children in the mountainous areas; using own abilities to do something; working together as a team, the participating students seemed to devoid of fatigue and totally immersed in the bazaar from 10am to 6pm. 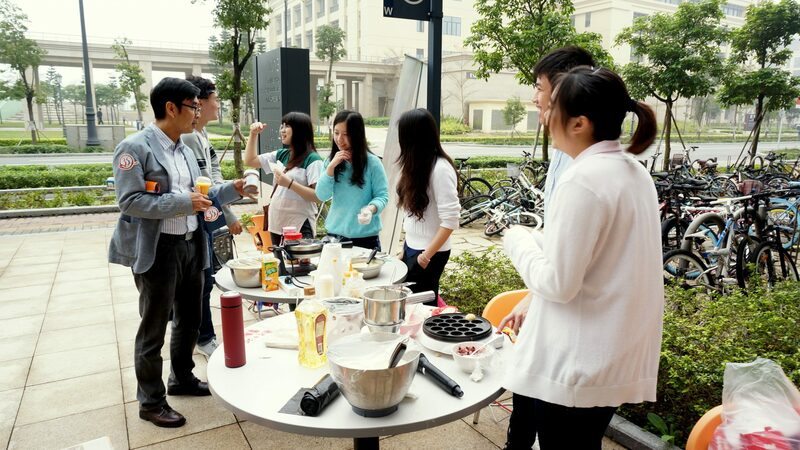 Their devotion had raised more than MOP 5,000 for those in need in Sichuan and Yunnan. 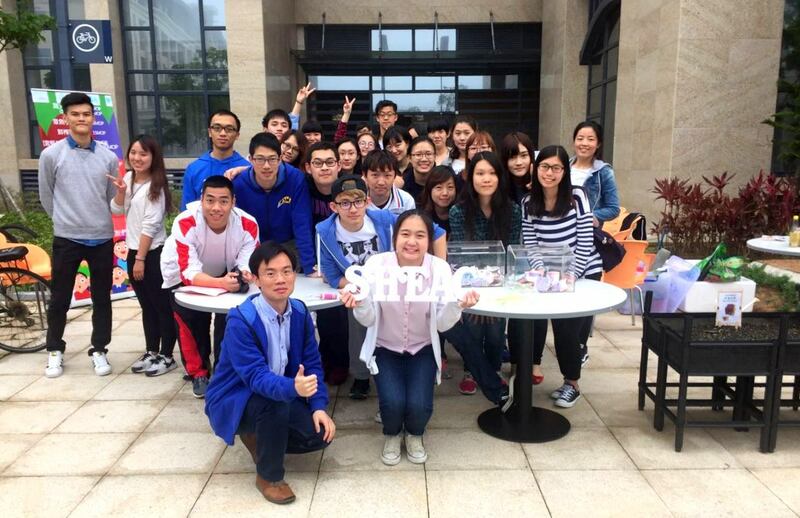 Through this series of activity, our fellow students also found the joy of helping others! 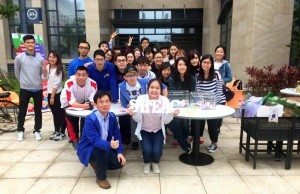 The funds raised in this event will be used for purchasing necessities or supporting development projects, through local non-profit organizations, for villagers and children in the remote areas of Jinggu in Yunnan and Shuimo in Sichuan. These locations are the destinations of the two forthcoming service-learning trips organized by the College in the summer. A follow-up report will be released to provide the details about the implementation and usage of these funds. The charity bazaar drew a huge crowd of visitors to the College. 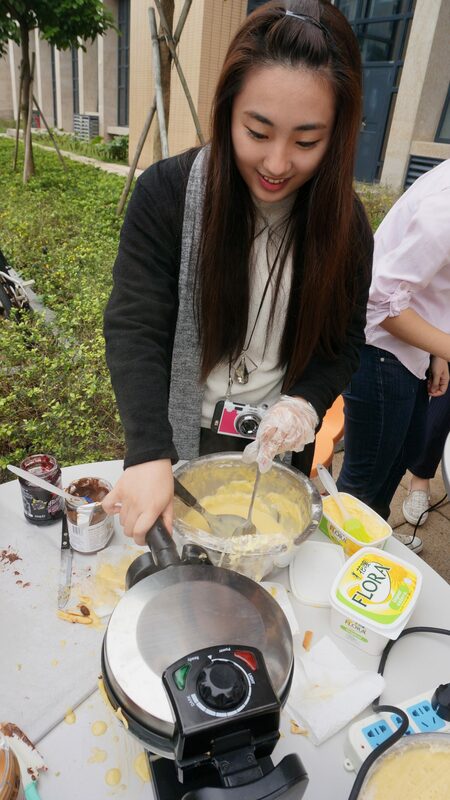 Fresh waffles were very popular at the charity bazaar.